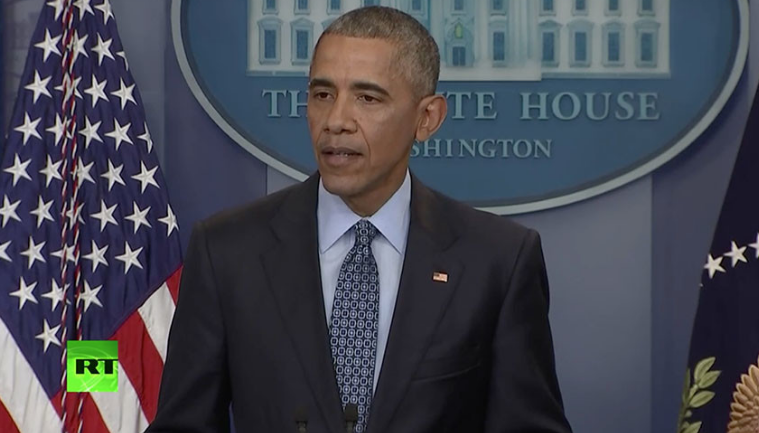 Obama's Final Press Conference: Trump Won Because People "Feel Forgotten And Disenfranchised"
Obama gave his final press conference on Wednesday. Highlights from the Press Conference include Obama saying Trump won because people felt forgotten and disenfranchised, that he believes race relations have not worsened under his Presidency, and that he wants to be quiet after leaving office and not listen to himself talk so much. …Obama said he granted clemency to Manning because she had gone to trial, taken responsibility for her crime and received a sentence that was harsher than other leakers had received. He emphasized that he had merely commuted her sentence, not granted a pardon, which would have symbolically forgiven her for the crime. “I feel very comfortable that justice has been served,” Obama said. …Reflecting on his legacy as the first black president, Obama disputed the notion that race relations had worsened. And he dismissed as “fake news” the idea that there is widespread voter fraud in the U.S., a notion that Democrats say is used to justify restrictions that make it harder for African-Americans to vote. “I want to be quiet a little bit, and not hear myself talk so darn much,” Obama said.